One of the reasons that I enjoy photography so much is because I never know what I will be asked to do next. 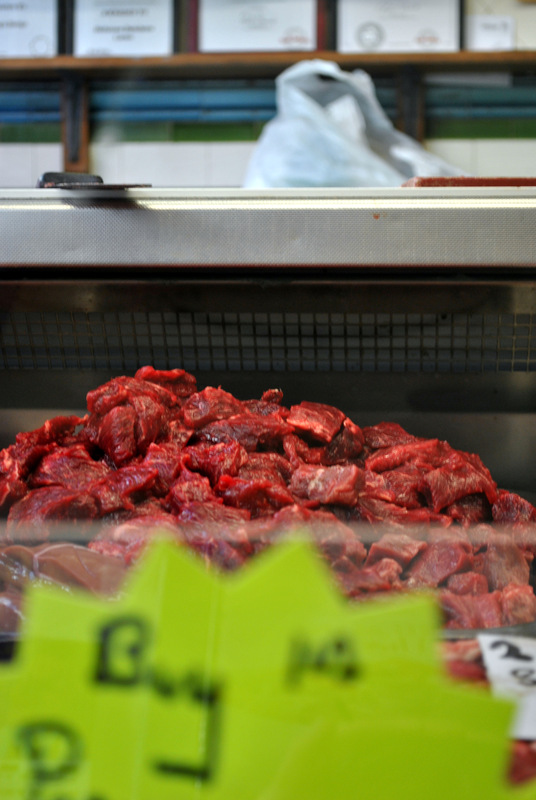 The latest task assigned to me was by a friend whos Grandfather owns a butchers shop in the town where I live. 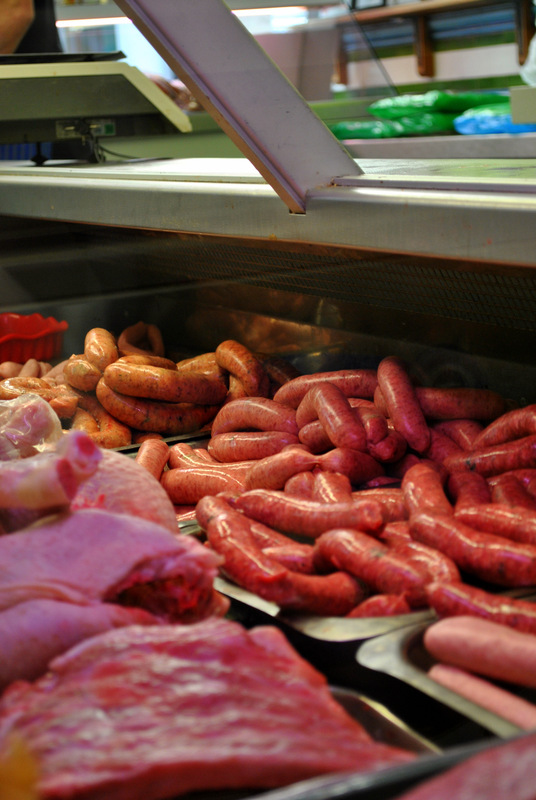 The shop dates back to the 1890’s, is a listed building and has retained its rare old butchers tiles and architecture. The family had some older photos of the shop and my task was to get some up to date shots. The photographs were to be used as part of a suprise for the Grandfather so I had to spin a few white lies first to enable me to get in there to take the shots! 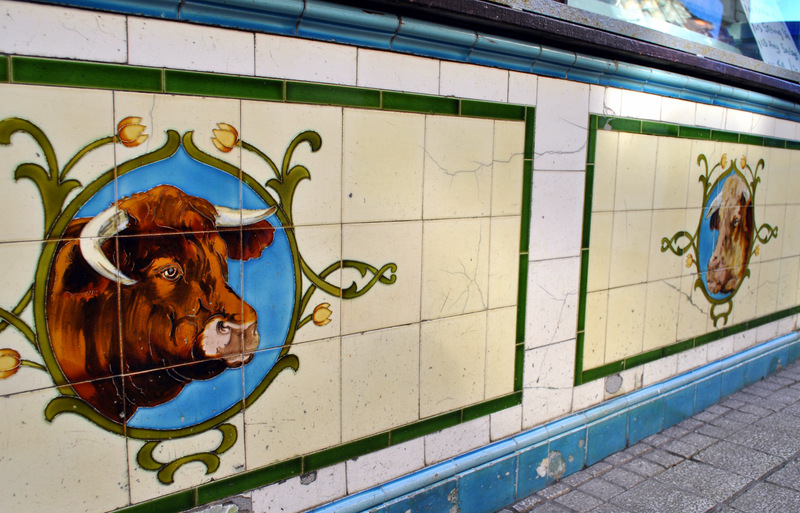 Photo above shows the rare butchers tiles dating back to 1890’s. Saturday morning came, I lingered about outside the shop trying not to look suspicious while checking out the tiles that made up a bulls head on the exterior of the building and having one last think about what I was going to say. In I went and reeled off my story about being a student, explaining that part of my photography project involved taking photos of local shops and I had chosen theirs because of its features. They agreed I could come by early the following Saturday morning. On Saturday, I got up early and went down to the shop. 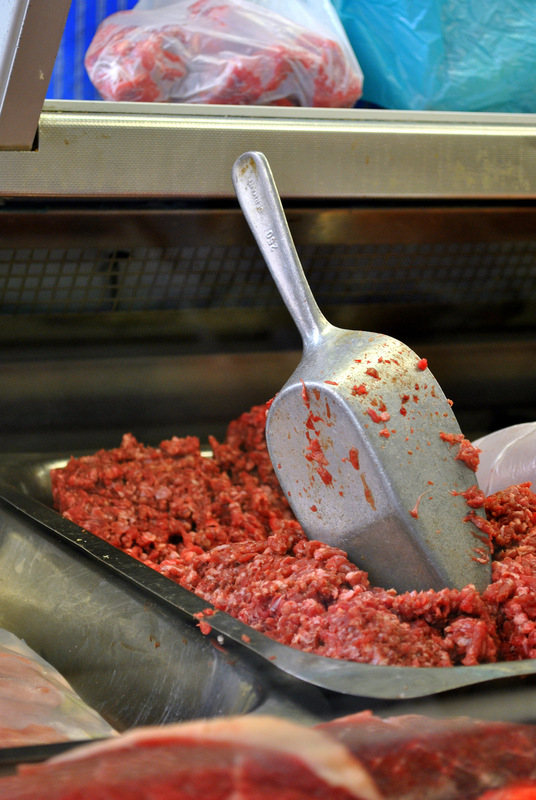 The trays were stocked with meat ready for the customers and the butchers were wearing clean aprons and welcoming smiles. Despite being only 9am there was already a steady stream of people coming in and the telephone was ringing with people phoning down their orders. At the start, the butchers were reluctant to be in any of the photos. 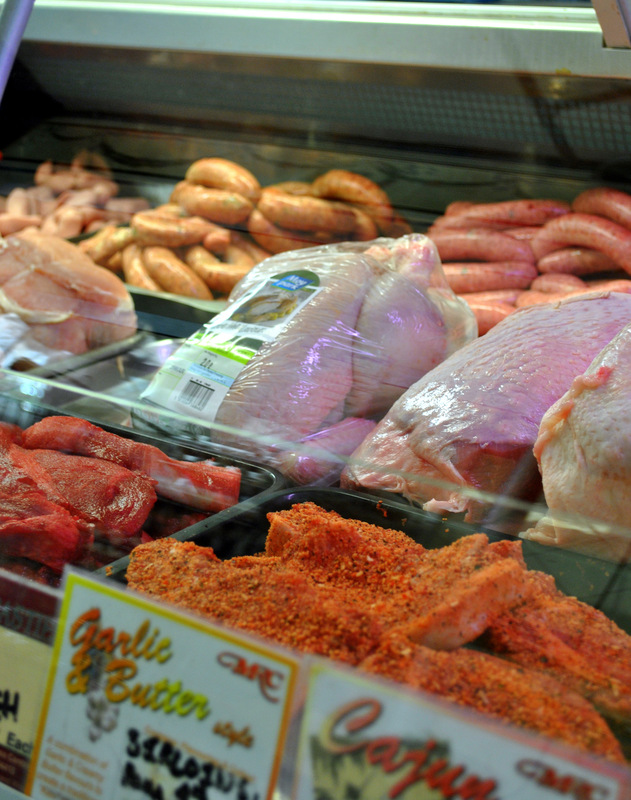 I got on with the task in hand, taking photographs of the outside of the shop when it was busy with customers and going in when it was quieter to take pictures of the meat. 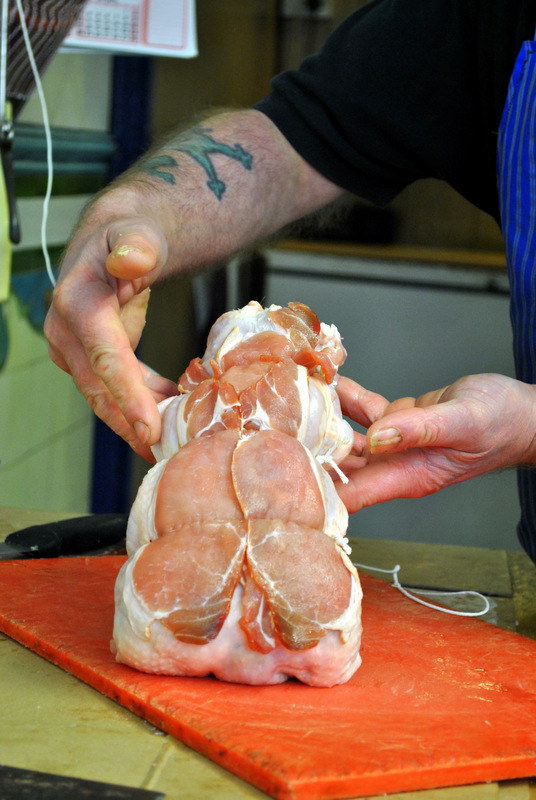 One of the butchers kindly offered to demonstrate how they prepare a boneless stuffed chicken so I also captured some images of them in action. 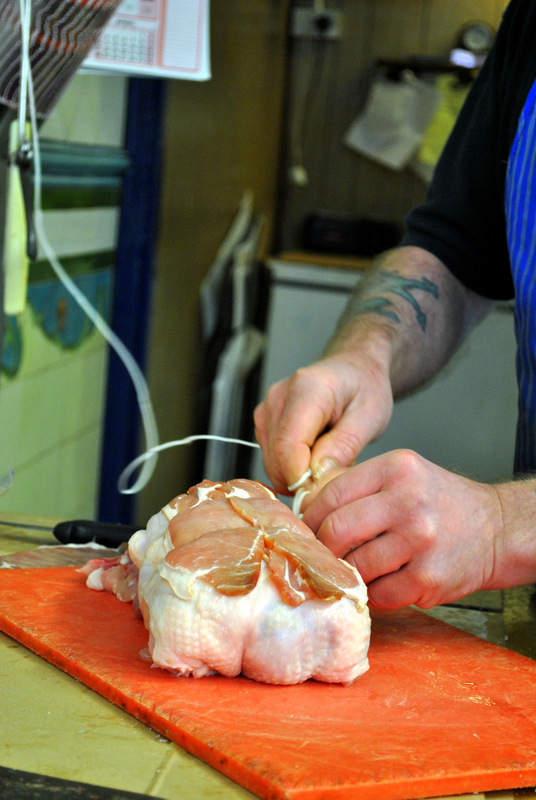 Photographs above show a stuffed boneless chicken being prepared. I thoroughly enjoyed the job and there was a great atmosphere in the shop. 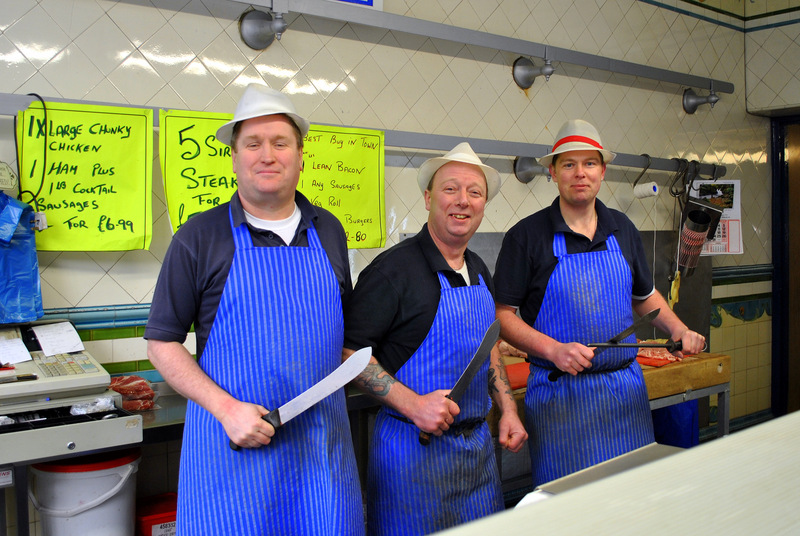 Despite their earlier protests of not wanting to be in any photographs I found the butchers to be more than willing to stand together for a quick photo before I left. They even picked up their knives to use as props without any prompting! A friendly photographer based in Northern Ireland. For me, photography is about so much more than just pointing a camera and pressing the button. It is about looking through the viewfinder and identifying what will make this photograph unique, finding the extraordinary in the ordinary and ensuring it will captivate the minds of those viewing it. It is about waiting for the perfect moment before pressing the shutter button, even if it means waiting days for the sun to set with a fiery glow or watching and waiting to capture someone caught off guard laughing.